When war was declared in August 1914, many believed it would be "over by Christmas." Horatio Kitchener, however, suspected differently and set about creating his "New Armies" to fight in the long term. At the start of the War, the Army consisted of just 700,000 soldiers, a tiny force compared to the mass armies of France, Germany and Russia. 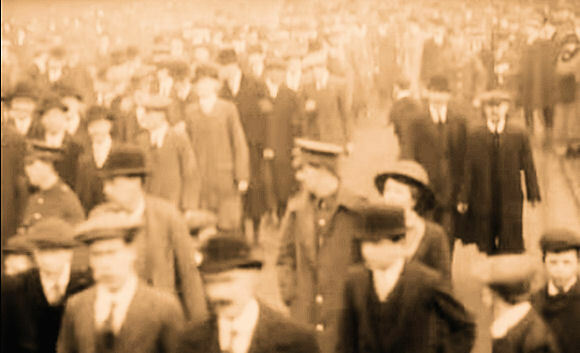 Lord Kitchener, then British secretary of state for war, instigated a mass recruitment campaign, calling for 100,000 new recruits to bolster British forces. He wanted to transform the nation’s small, specialist-trained force into a mass civilian army. In the wave of patriotism that followed the declaration of war, his tactics worked. 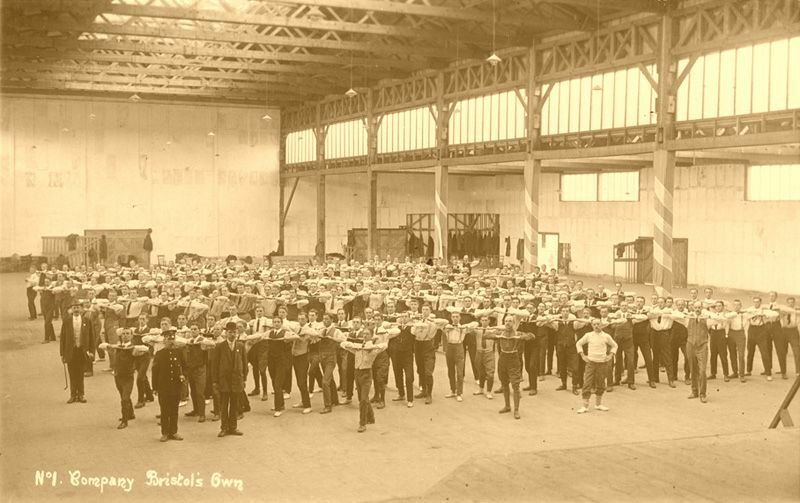 However, these new volunteers needed to be trained, and it soon became apparent that existing barracks across the UK simply would not suffice. Initially, public buildings such as schools, churches, and warehouses were used in response to the need for more adequate training spaces. Eventually, with the assistance of the Royal Engineers, purpose-built training camps were developed and original barracks expanded, including Shorncliffe in Folkestone. While at the training camps, new recruits were put through their paces with physical fitness training, as well as marching and drills. There was no set program in place for training, so each squad could have a very different training experience. I don’t know whether you get any Swedish drill or not but we do, and my word is it hard when you are not used to it. Our squad have had it twice and there are plenty of sore muscles amongst us. I had cottage pie for supper yesterday and am going to have another tonight. I suppose you wonder where I got it. Ah! I made it (some cook; What!). Although not traditionally a male pastime in the early 20th century, the ability to cook up a hot meal would be vital—for nutrition and for morale—while on active duty. As soldiers began to specialize in a particular role, for example in the infantry as a machine gunner or a bomber, they would receive more expert training. When the time came to travel to the Western Front, soldiers would also be given basic training in wiring, gas defense, and first aid. Although training continued after going on active duty, for many soldiers it simply could not prepare them for the horrors that they were to experience on the front line. While tactics taught at training camps evolved with the war, the thousands who did not return paid the highest price for the steep learning curve experienced by all sides in the conflict. Kitchener completely ignored the Territorials at first. As these men would only be used to defend England. However as war with Germany appeared more likely, many were asked if they would serve outside the UK. The majority agreed and several thousand were posted to India and other colonies to free the Regulars to return to England for duty in France. 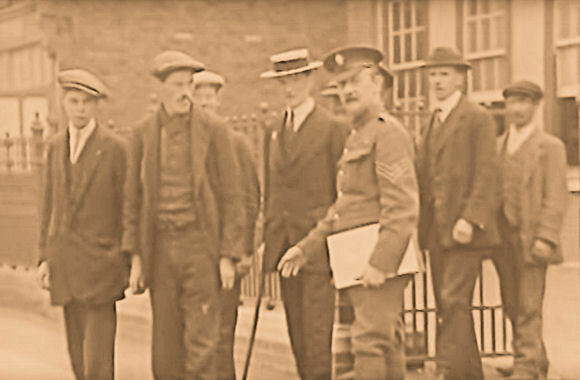 These men when sent to reinforce the BEF in the fall of 1914 gave a good account of themselves and allowed the Territorial division still in England to be sent to France. If Kitchener had used his hundred thousand to fill up the Terriers first, many more units would have been available for Ypres. America went through similar challenges in building and training its forces, but the draft helped to increase the numbers. Why Did They Attack Shoulder-to-Shoulder in 1914?